Need A Last Minute Gift Idea for Christmas? Perhaps you have been racking your brain trying to figure out a last minute gift idea for that special friend or family member. Maybe like me you are already a dancer and just didn’t think about how awesome the gift of dance would be whether your friend/family member is single or married. Well dance is the perfect gift and you can register your special someone right from the comfort of your own home. Just simply click here Swing Kat Dance Classes. Along with you great last minute gift idea you will be given a Gift Certificate upon your request to present to your special someone. We save you the work! Let us help you get that last minute gift taken care of. Simply register your friend for class using your email address & phone (so they don’t get contacted by us, pay for class and then request a gift certificate. It’s easy. Gift Certificates Available Upon Request After Payment Has Been Made. Finding Fitness Through Dance & Much More! Hot off the presses, find fitness through dance! This morning Michilea Patterson the Fit For Life reporter for The Mercury released a story on just that. The article mentions fitness through dance can be much more rewarding than simply putting yourself through a bunch boring repetitive motion. Not that dance doesn’t have repetitive motion. However moving to music lifts ones spirit and connects you with rhythm make fitness through dance much more exciting and fun. Read the story by CLICKING HERE. Note: In the story there is a quote from myself and an honorable mention of Swing Kat (In the printed version the picture to the right appears). If you are reading this blog post chances are you already know the above to be true. You know that fitness through dance is not only possible but also fun at the same time. You probably also know that no matter your fitness level you can dance. Then dependent on your level of fitness you can either bust a move or tone it down. This makes fitness through dance an extremely good choice. However what you may not know is the full benefit you receive as a partner or social dancer as opposed to a solo or line dancer. Over 10 year ago now the New England Journal of Medicine put out a report on Leisure Activities and the Risk of Dementia in the Elderly. The findings were based on a 20 year study that was conducted. It doesn’t make for the best read, so maybe you would rather read an article based on these findings by Richard Powers for Stanford University, Use It Or Lose It: Dancing Makes You Smarter. In essence, the study found that those who find fitness through dance or more specifically through social dancing enjoy the greatest amount of brain health. Wait, weren’t we talking about physical fitness here? Yes, but the benefits of social dancing go far beyond just simple physical health. As a matter of fact those of us who dance socially have the greatest chance of warding off dementia and Alzheimer’s. If you would like to know why, read the articles. Yet, as a social dancer you know that the health benefits of social dancing go beyond the physical and mental. They also extend to the social and spiritual health of those who dance. Michilea’s story about hits on the spiritual benefits in regards to how you just get this sense of connection to the music. I believe it goes further and even helps you find joy in your life. I believe this because when I started dancing I was in a deep dark depression. Many bad things were happening in my life including my sister’s brain cancer. Yet I immediately lifted out of that depression when I found dance though my sister was still dying. It is hard to explain the change, but I knew the difference and I know many of you have felt it too. How about the social health of those who socially dance. Well it is social dancing is it not? More over I have seen dancers in our scene who have social disorders and have watched as their disorders have been worked out by simply immersing themselves in something so incredibly social they would either drowned or have no choice but to learn to swim. So fitness through dance, well social dancing anyway is serious business. I hope you will not hide this from your friends. My Social Calendar Involves No-Pressure, Low-Cost, Good Old-Fashioned Fun! Recently I have been hearing advertisements for a new “on-line” social network called My Social Calendar. As a business man who deals in the most social activity known to man (social dancing) I thought, “Wow, I got to check this out”. I mean the name My Social Calendar alone is catchy. I wanted in. I wanted our Live Bands averaging 200 people each night to be listed on their website. I thought it would make a great partnership. However, when I got to their website I found no links to connect my social calendar with theirs. Then I was even more surprised to see that they didn’t have any super social events listed. I was even more put off by the fact that just like all the area singles groups that have existed for years in our area, they put on all of their own events. No partnerships are offered & no outreach to the local community businesses that deal in social happenings. My heart sunk. However I thought maybe I was missing something. So, I did a quick search on being a My Social Calendar affiliate. Nope, no luck. Yet I did find some not so good reviews on Yelp. These reviews revealed that not only does My Social Calendar not work with local small businesses to put on great events for their customers, they also make their customers sign big expensive contracts. What if you go to a few events and decide this is not for you? You are out thousands! I have a better idea for ya. Earn the right to say I put social dancing into my social calendar. Social dancing is well, social. It is also the greatest way to meet other singles. Better yet it is low cost, no pressure, a healthy activity and educational all at the same time. Social dancing changed my life, gave me confidence, gave me good friends, found me a wife and now has given me a beautiful little daughter. As the number one thing you can do for your over all health (studies have proven), shouldn’t you give social dancing a try? Besides, you won’t believe how fun it is! Try my social calendar of events by clicking here! West Chester Dance Classes Start Next Week! Next Monday May 4th is the kick-off of our West Chester Dance Classes! I have noticed that May has notoriously been the worst month of the year to run classes or events since starting Swing Kat in 2006. However due to timing constraints and the venues desire to see their Monday nights filled with something, we are starting on what is the worst month, May. However, we have enough students to start our West Chester dance classes next Monday anyway and start we will! Here we come West Chester! If West Chester dance classes in the vintage swing styles of dance are something you have been waiting for or if this all just sounds interesting to you. Check out what we have to offer on our Syllabus Page. If you like what you see come just us in class by registering HERE! These dance classes are for adults. Finally something fun for the kids at heart! Yes, adult dance classes in a style of dance the is more fun than you can imagine. 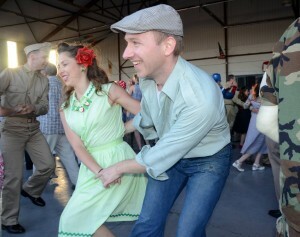 Swing Kat has been offering swing dance classes in Pottstown PA since 2006. 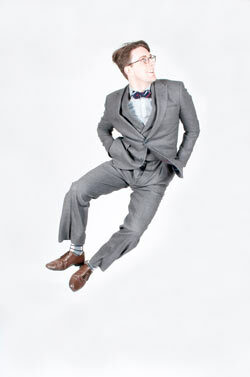 We are recognized as the only full fledge vintage swing dance studio in the entire region. With students and dancers spread in all directions of Pottstown many traveling an hour to get to us, last year we started opening dance studios in major areas outside of Pottstown. Our new West Chester dance classes are just another step in that direction. A chance for our dancers who live in the West Chester area to have the same benefits our Pottstown area dancers have. Hope you will take advantage of this great opportunity and sign up for classes today! Well, the search is on for Reading PA and West Chester dance studio locations. This Tuesday friend and dance customer Richard Thompson and I spent all day trying to find a home for Swing Kat’s West Chester dance studio satellite location. We had fun searching, but as the day went on we found we were quickly getting no where! Now Richard has seen first hand why finding a home for our main location in Pottstown has been such a struggle. For our West Chester dance studio finding a location is way easier as we only need a space to hold 15 couple & we don’t need it on the weekend when prices are higher. However as Richard can attest, it is still not easy. However after running down 22 leads, we did come up with one place that might work. The best part is that it could work for not just classes but also for a monthly dance as well. Again, the key word is might. If I have learned anything in the past 2 years, it is that you should not count your chickens until they hatch. After a full day of working on my little project, Richard took me out to see his little project. Check out the picture in this post. Richard T. in front of his little Project. So Tuesday I spent all day in West Chester. Then came Wednesday and Reading PA. In Reading I had a bit more luck. The first place I went to opened it’s doors to us! However, I have to consider the location and it’s challenges. The first challenge is that it is in the heart of Reading PA. Though it is in a good spot, people from outside the city (our largest supporting crowd) believes Reading to be unsafe in the evening hours. Yes, there are areas to stay out of at night, but this is not one of them. I have learned from living in Pottstown for so many years that the areas to avoid are the neighborhoods and the edges of housing areas. Where people are living, dealing and stomping can be dangerous at times. However this location is surrounded by parking garages, churches and large newly constructed commercial buildings. Best part is that the parking garage is right next door and only costs $1 for 2 hours, WOW! However it is important to do your homework and explore all options. So, I spent the rest of my day in the Reading area chasing other leads. After entering about 20 buildings, I left Reading with only one option, the first place I looked at. 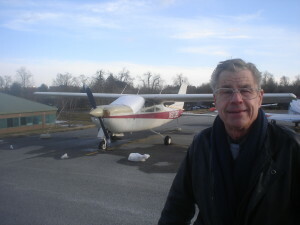 However I am going to continue searching in Reading just as I am in the south for a West Chester dance studio location. Stay posted! These satellite studios will be up and running by late spring early summer! Everyone tries to find that special someone the perfect gift each holiday season. Though I don’t know that any one gift can be totally perfect, I do know that there is one gift that could possibly be the perfect gift. That gift is the gift of dance. From the time we are born something within us just wants to move when we hear music. Unfortunately social & peer pressure keep many of us from expressing this very natural urge. Dance lessons help us overcome the pressures that keep us from wearing our emotions on our sleeves. Next, dancing is something that brings lots of joy into peoples lives. Giving the perfect gift of dance will make your loved one happier. Then there is the fact that studies are now proving dance to be the number one thing for your overall health; mental, social & physical all wrapped into one beautiful package of happiness, laughter and full self expression. Best yet when the gift of dance you have given has reached it’s end, there is nothing left to collect dust on the shelf, or to trip over in the hall, your loved one has not gained 5 lbs nor have they been on a vacation that has ended with nothing but memories. Instead your loved one has maybe lost 5 lbs, found a new and health hobby, has fond memories, has maybe broken down the wall of self insecurity and has taken with them a skill that they can use over and over again. All of this at a price you can afford! Is the gift of the dance the perfect gift? I can’t say, but I know it beats the alternatives by a long shot! Sign up for dance lessons today! Click Here or check out our partners and sign up for Ballroom Dance Lessons. It has been a long time since my last post on our moving process. 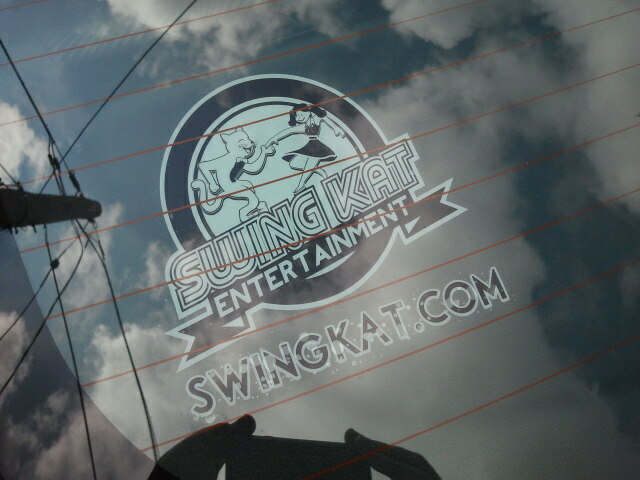 However what you need to know is that it may now just be a matter of time before you find Swing Kat in Spring City PA! I have been quiet on this subject for awhile as things have been moving so slowly that there has been nothing much to say. Also, it looked so bad for so long I didn’t want to put out a post saying we were not going to be able to find a new home. However, it got so bad at one point that I did announce at our 8th Anniversary we would not be able to buy the building at 123 Hall St in Spring City. But that was a few months ago. 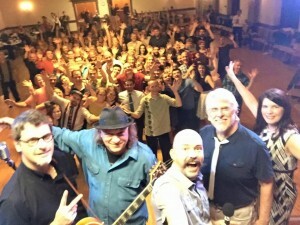 Now for the past 3 weeks we have been riding a wave of good news that just might put Swing Kat in Spring City PA after all! If you read some of my older posts on our moving process, you might have found a list of hurdles we needed to overcome in order to relocate Swing Kat to Mechanics Hall. Well, around 3 weeks ago that list lost it’s biggest hurdle. As it stands now, Swing Kat Entertainment has the Pennsylvania Department of Environmental Protection’s full blessing to proceed forward on the issue of EDUs concerning Spring City’s outdated sewer system. The fact that our usage will not at all be what the DEP would expect from a building this size has made the difference and gotten us over this hurdle. The DEP’s concern was that we would use over 800 gallons of water in a given day. First off our average usage will be around 285 gallons a day if we double our current usage at the new location. The only night we would even get close to 800 gallons by their calculations is on our live band nights. According to their calculations, we would go over 800 and up to 1000 gallons on that night. Now you and I both know that wouldn’t happen, but we have to go by their calculations. So, they have restricted our turnouts to 159 persons on any given day. Getting average turnouts this fall of 200 persons or more this may seem like a problem. However, it won’t be as we can use other facilities on nights we believe our numbers will be greater than 159. The main point here is that only a few hurdles remain for seeing Swing Kat in Spring City PA. The biggest one at this point is the variance hearing for our proposed parking lot. We will need to seek relief at the variance hearing on many little issues concerning our parking lot. The most major of which is the fact that we will not be able to create enough parking spots in our lot for the square footage of the building. Others include driveways not being of sufficient width, requirement of paving which we can’t afford and needing tighter parking spots. However anyone who tries to buy Mechanics Hall will face these same issues. Thus, the hearing board has got to give somebody relief on these issues or the owners will never sell this building. The other hurdle at this time is a requirement for full blown land development plans. This is a very costly issue at $30-40K just to get permission to proceed. Requirement of full blown land development plans would end our pursuit of Mechanics Hall. However, we have a really good chance of not being required to go all the way with land development. Requirement of partial land development would drop that bill to $7-10K. This decision will be up to the Spring City borough council. Council members have had some face time will me at borough meetings and have expressed a desire to see Swing Kat in Spring City PA. That should help us make our dream of having a permanent home in Spring City a reality! Swing Kat – Static Stickers Are Here! Hey everyone! Swing Kat car window static stickers are finally here! Show your support of Swing Kat and help us spread the word about the joy of swing dancing. Get your static sticker at our next dance event for only $5. These very stylish and well designed stickers will be available at all of our swing dance events as long as supplies last. So don’t delay! You may need to know how to apply static window stickers. So here are some helpful hints. 1. First off if the sticker is square, but the image is not (as is the case for our stickers) take a razor blade and cut off the access material about an eighth of an inch around image. This step is not necessary however it does make for a nicer look. 2. Now clean the window glass on the inside of the window. 3. Most importantly! Before you put your sticker on the INSIDE of your car window, spray the area with water. Wetting the area and then applying the sticker will allow you to push out all of the air bubbles and adjust the position of the sticker. ***Note: the picture above shows the logo done using this method while the lower website address was placed on the dry window. 4. Next, take the sticker and peal it off the paper and flip it over back onto the paper. The paper will help you place the sticker on the window more accurately. 5. Adjust and push out the air bubbles. *Note: Static stickers can be removed even years after application with no mess or damage to your window! Now enjoy your way cool static sticker and spread your love for dancing! Mechanics Hall 123 Hall St Spring City PA 19475 currently the home of the Tall Cedars of Lebanon is to become our new home! This is where Swing Kat Entertainment will reside around the new year. After months of waiting, 2 weeks ago we finally signed the paper work. This is closer than we have ever gotten to securing a place that can be our permanent home. At this point the only things that can stop us from realizing this dream are a parking variance hearing & the cost of code improvements that will have to be made. Both of these issues could stop us however I believe we should get past both and realize our dream! In the process of securing Mechanics Hall 123 Hall St Spring City PA 19475 I have learned that the cost of just simply getting the answers as to whether or not we will even be allowed to consider purchasing/moving to Mechanics Hall is going to be more costly than first imagined. It looks like we are now looking at $8-$10K just to find out if we will be allowed to proceed as planned. This is an awful price to pay, but to hold our dance community together I am moving forward. There is no other option that will work for our complete calendar of events. If we were just doing swing dances and classes, I would be able to find a place to make that happen. However we do swing, ballroom, salsa, milonga, and more. We need a place we can have all month long. More importantly, we need a place that is affordable & sized correctly for the small crowds we normally get each night. Mechanics Hall will hold roughly 125 people for swing dancing on it’s main ballroom floor. The Ballroom On High would hold 25o. With our highest average for DJ dance nights being around 55 for swing/ballroom dances and 85 for our monthly salsa dance, there is no need for a building the size of the Ballroom On High. 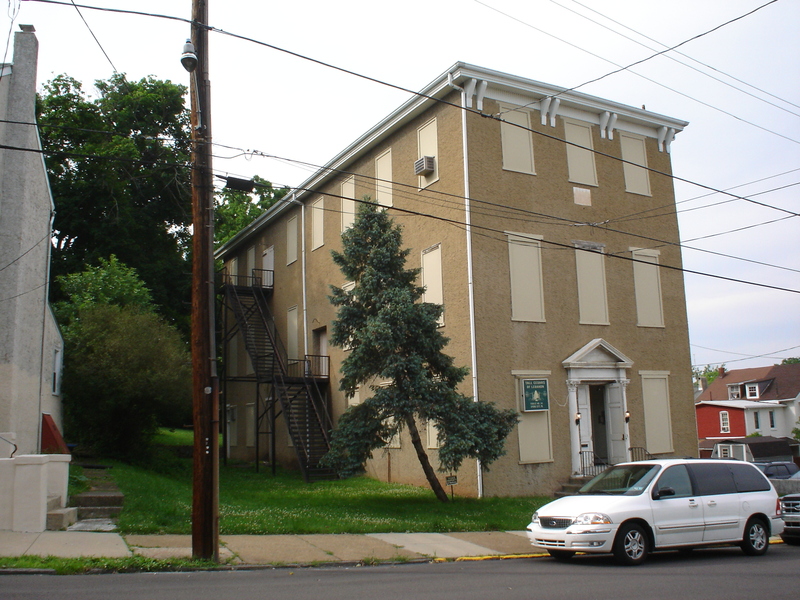 Be looking for more information on our future move to Mechanics Hall 123 Hall St Spring City PA 19475. I will have information at our dance events starting this weekend. However for now you can take a look at pictures of Mechanics Hall by following this link… Click Here!